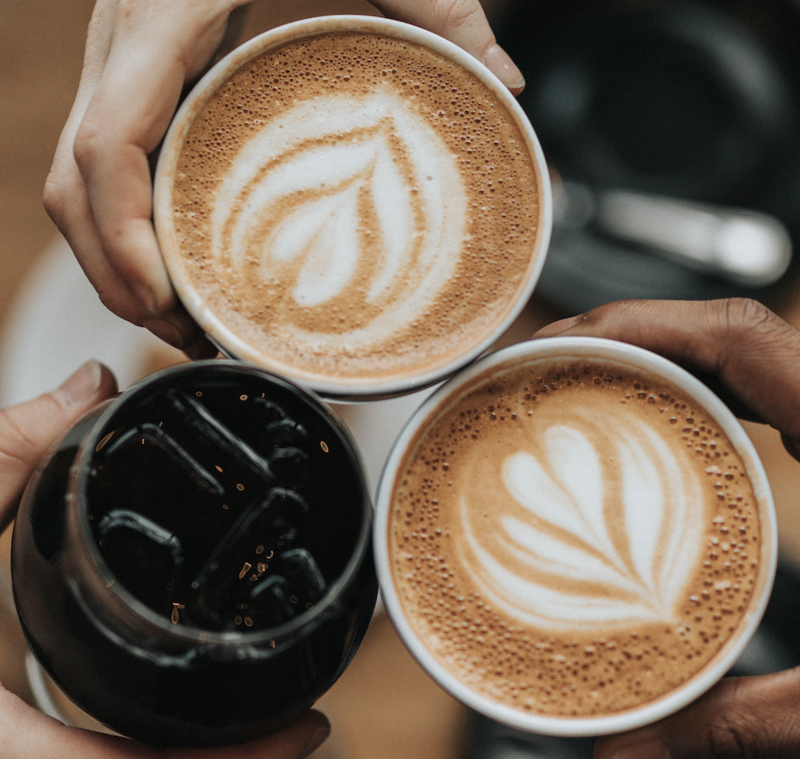 We’ve talked about some of the benefits of an office massage in a corporate setting before, but now that we’re past the end of financial year rush and winter is settling in, we thought it was worth revisiting. Whether you’re an employer looking to reward your patient and hard-working staff, or you’re one of those patient and hard-working people who’s been feeling the overtime tension, booking an office massage makes coming to work so much better. So why an office massage? Picture this: it’s Friday. The end of the week, the end of the month, the end of a crazy project deadline. You and your coworkers have been slaves to the keyboard and computer screen trying to piece together the final elements for this project. Your neck hurts and your back aches and your eyes are gritty. You just want a break, but you’re also desperate to finish this job. If only there was some way that you could take a holiday without leaving your desk. Enter: a Blys corporate office massage. The champion of relaxation and the ultimate work-stress relieving force. A corporate massage battles the aches, pains and pangs where the tension is at its worst. And the best part? You may not even have to move. Blys mobile massage therapists come to your office space fully prepared. Blys therapists provide in-chair massages at your desk so you can remain at your station while you take a blyssful break. Or, you can be throned on one of the specialised massage chairs. These allow you to shift your office-drone posture to one of relaxation, with a headrest and chest seat that will support you comfortably and leave you feeling renewed. If this has been the biggest project of the year and all the stress has accumulated in your body to form knots and tightness in your joints, then it’s time to lay it all out there. Your therapists can turn that empty cubical or spare room into an office oasis. A massage table doesn’t require much space, so setting up a makeshift parlour is easier than you might think. Suddenly that dingy corner everyone avoids is the place to be! Soothing scents begets soothing hands, and after your full massage you return to your desk and defeat the rest of the day with razor precision to the applause of the office. An office massage has so many benefits – for the individual workers, for the office team, and for their employer. Here are the reasons why you should hire an office massage. Nothing is more motivational than feeling good. An office massage – even if it’s just a 10 minute chair massage at your desk – can energise your body and supercharge your brain. All of this leads to a restored sense of determination that leaves you feeling fantastic and ready to take on anything the boss throws at you. You’ve just had your massage. That stiff shoulder? Gone. That ache in your neck? Disappeared. That looming headache? Evaporated. It’s almost like you’re in a new body – one that doesn’t harbour tension. It has been proven that office massages can lead to an increase in productivity. And it makes sense, doesn’t it? When you feel amazing, you produce amazing things. This is just a general fact of massage, but even a short massage session – either in your chair or ours – can massively reduce soreness and strain in your muscles. If you work at a desk, you may not even realise how much pressure is taking up residence in your neck, shoulders, back and head. The Desk Slump is the default position for many of us, and this poor posture can be damaging. An office massage can assist in correcting posture and alleviate the tension you feel when you do finally straighten up. The combination of the three benefits above ultimately leads to a healthier office. A healthy team is a competent team. By intercepting tension at its very source – the desk – your Blys mobile massage therapist can effectively provide treatment for more serious chronic aches and pains. This will cut down the number of sick days and time off that your employees need to take due to these physical restraints. 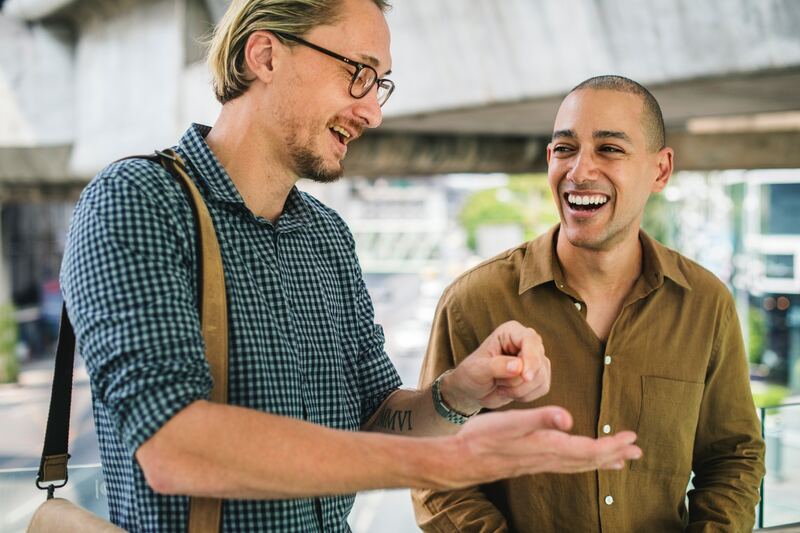 Absenteeism costs workplaces $44 billion a year, so it definitely pays to keep your staff as healthy and happy as possible. The stronger your team is, the more successful your business is. Desk jockeys don’t get enough credit for the hours and effort they put in day after day. It’s demoralising to leave work feeling exhausted every day, and it’s hardly motivational knowing that tomorrow will be the same. Introducing an office massage, even if it’s just once a month, is an incredible reward for hardworking staff. You’ll begin to count down the days until the next one because you know how refreshing and rejuvenating it is to come to work ready for pampering. An office massage can be a great bonding experience. You all get to reap the benefits of magical Blys therapist hands, and you feel so good that you just want to share! Tell Cathy how great your back feels; listen to Brian’s relief now that his headaches have faded; share the joy of feeling amazing with Freya from the front desk. 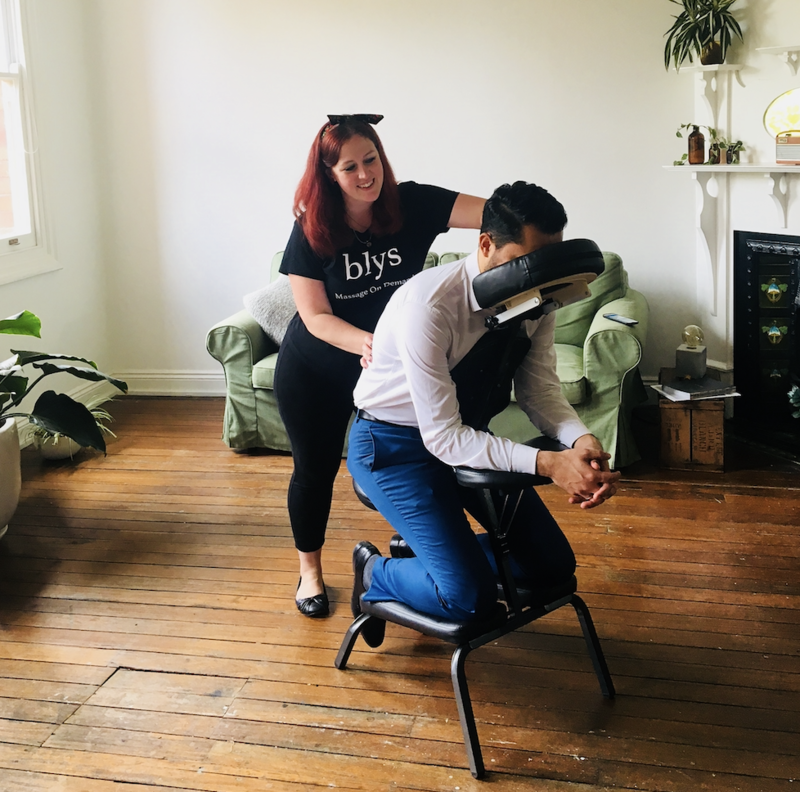 An office massage is beneficial for everybody, and booking your next one is so easy with Blys: head over to our website to make your corporate massage booking or download the Blys App. Everyone will thank you for it! Previous PostMid-Year Recap: Where Are We Now?